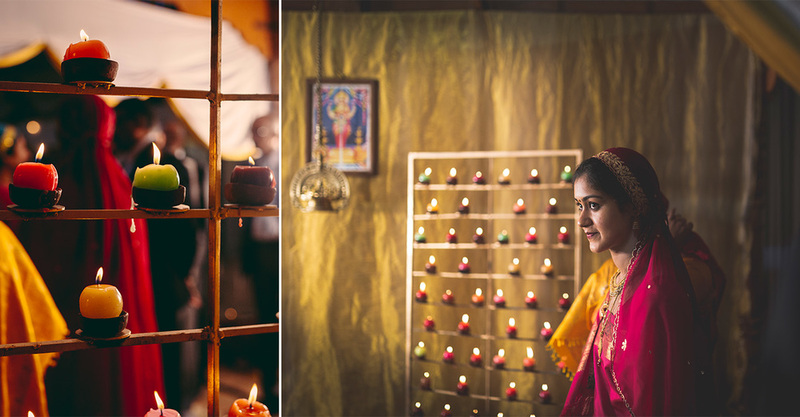 Suraj & Millin - A Coorgi Wedding! 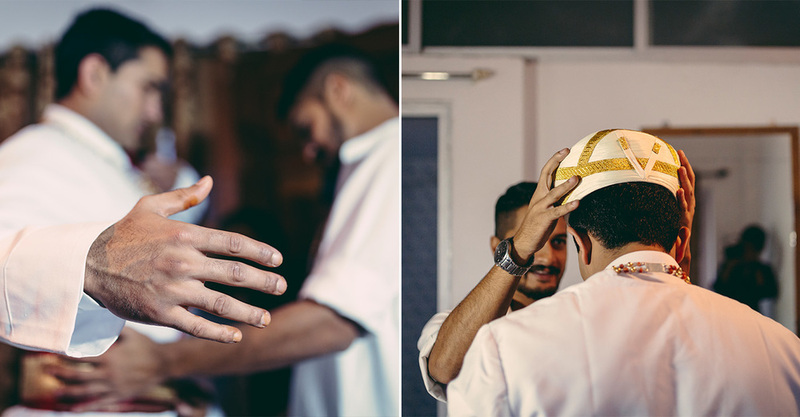 I am all done with the engagement shoot of Suraj and Millin. Everyone is helping themselves to a drink or two and I am chatting up there with my cousin and his friends when Sunil (Suraj's brother) walks up to me and tells me I will be shooting Suraj's wedding as well. 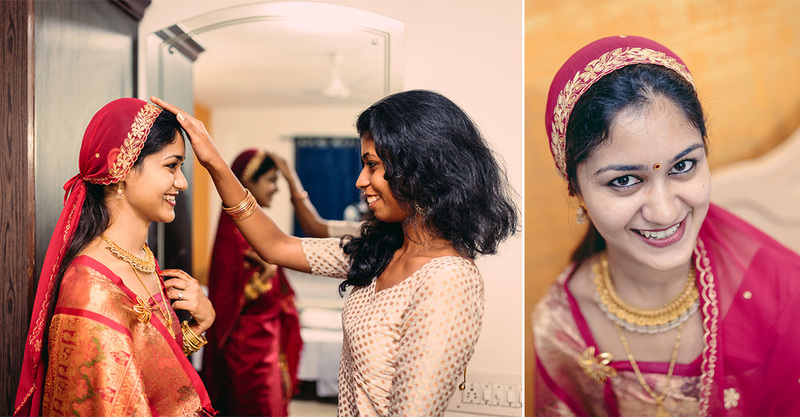 Fast forward to July 2014 and I was witness to an Epic Indian Wedding! 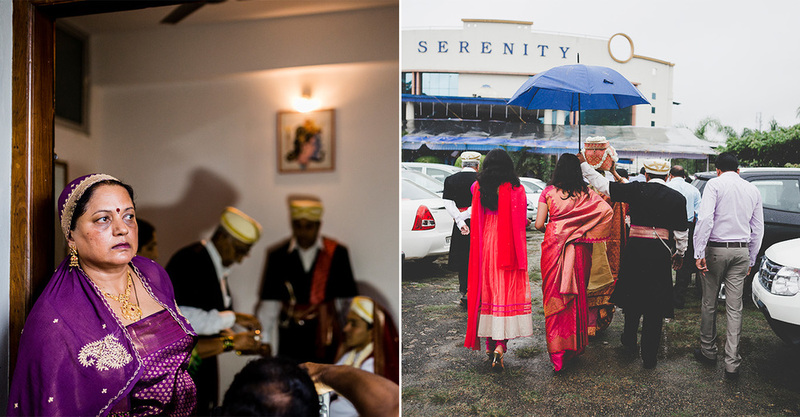 Most of you reading this photoblog wouldn't have seen a Coorgi wedding in all it's glory and that is why it gives me immense pleasure to showcase some of the finest moments from the wedding through this post. The weather was gloomy for most parts but don't think for one moment that It hindered the spirits of the crowd. Once the proceedings started, it was all so much fun! The colors, the weather and the people were so pleasant and so were the two days we spent at Virajpet. It is also the first time we did a wedding film so we are chuffed to bits to present that to you as well! 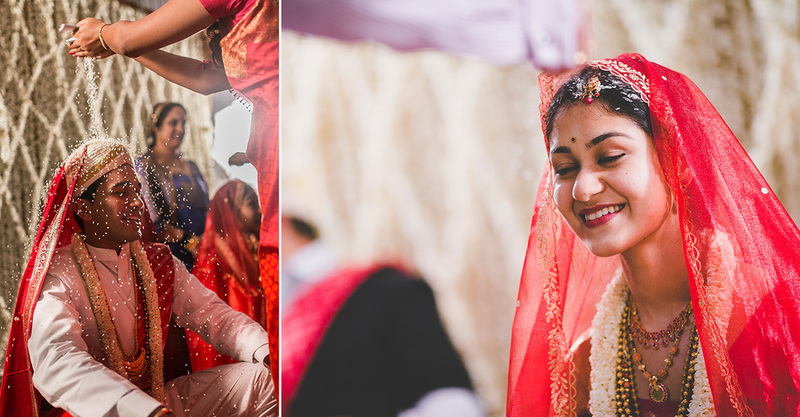 Vishnu Madhavi & Ganesh - The temple wedding!